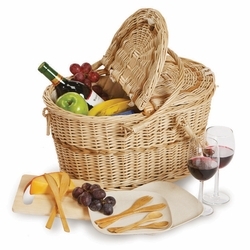 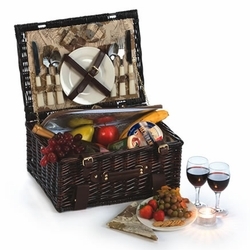 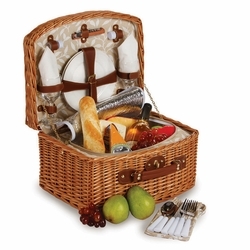 With hand woven Natural wheat fiber construction, this sturdy but lightweight Woodstock 4 Person Basket from Picnic Plus makes a wonderful family gift. 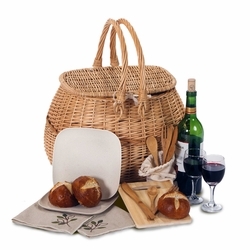 The full size thermal foil lined insulated cooler section holds wine or beverage bottles, salads, fruits and sandwiches is removable for additional storage space. 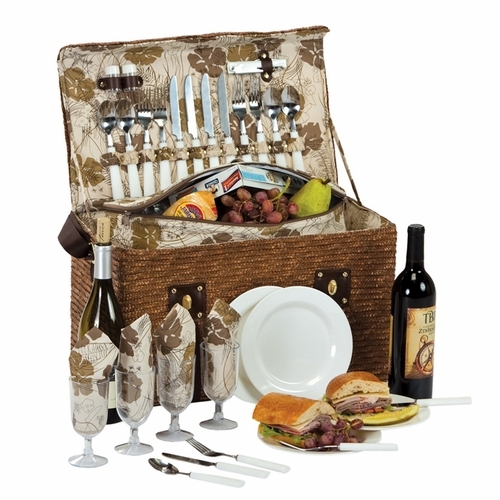 Includes a complete set of 4 acrylic wine goblets, melamine plates, cotton napkins, stainless steel flatware, multi functional corkscrew and salt/pepper shakers.